So, you need to get fingerprinted for a background check. How does fingerprinting work? What’s the best way to prepare for a fingerprint capture? Having a set of fingerprints taken—whether pressed on a card or copied by an electronic scanner—is a painless and quick process for most people. However, there are a few ways you can make it easier on yourself and the operator who takes your prints. Old-school fingerprints are captured on cards by pressing the tip segment of each of your fingers—nails up, bulbs down—onto an ink pad. The pad is similar to those used for rubber stamps. The unique pattern on each finger’s bulb is printed on the card by the ink. An electronic scanner takes a picture of your fingertip sections and makes a print from the live scan. 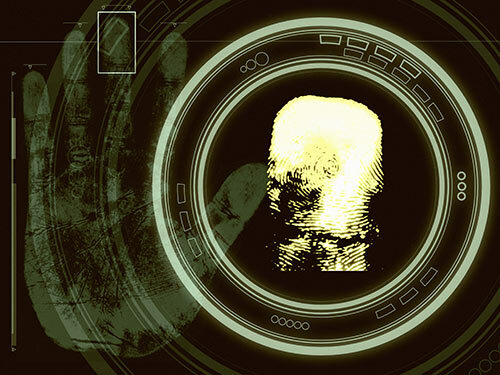 Both ink and live-scan fingerprint methods can be used to create the two fingerprint types used for background checks. The first type of print is just a flat image of the center of your fingertip bulb section. The second type of image is made by the operator rolling your finger from nail to nail to capture the entire pattern on the fingertip. If long sleeves are in season, wear a shirt with loose sleeves that are easy to pull back from your wrists. Avoid wearing dangly bracelets or too many rings on your fingers. To help the operator get the best prints, experts recommend you drink plenty of water the day before so you’re fully hydrated. It’s also wise for you to apply lotion to dry hands a day before your appointment. Hands that have been immersed in water tend to swell and may give substandard prints. For this reason, avoid activities like swimming or washing dishes the day of your fingerprint session. Don’t wash your hands or use sanitizer or lotion directly before your appointment either. The best way to help the fingerprint operator is to relax and listen carefully to the instructions you’re given. There’s a specific way to make the fingerprints, so the operator will ask you to let him or her guide your fingers at the appropriate time. He or she will gently grasp your hand below the thumb and use their other hand to gently make the prints. If you try to assist—by pressing down when you think it’s time, or by “helping” the operator roll your finger from side to side—you’ll risk smudging or smearing the image. Then, you and the operator will have to start over again. Having someone control their hands is an odd feeling for many people, but the operator is used to the awkwardness of the situation and will put you at ease. If you have arthritis or any other issue that makes your hands sensitive to touch or pressure, do speak up and let the operator know about your condition at the start of your appointment. They will take extra care when making your prints. Some people have trouble having their fingerprints captured successfully. There are a number of reasons for poor fingerprint quality. Elderly people often have faint prints due to thinning skin. Masons, and others who do heavy work with their hands, wear their fingerprints down over time. Injuries, burns, or skin conditions often make fingerprints impossible to see. In some cases, a special lotion is applied to try to raise the ridges of the fingerprint patterns. Operators may alternately try to “milk” the fingers by rubbing them vigorously from the palm to the tips of fingers. The operator will make several attempts to capture your prints if there is a problem. Livescan offers electronically scanned fingerprints for the purpose of obtaining background checks. Contact us today whether you need fingerprints made for an individual or a group. We’re happy to answer any questions you have about our fingerprint services in the San Diego region. Thanks for the advice to drink plenty of water the day before you get your fingerprint taken. My office is thinking of hiring a mobile fingerprinting business in order to get background checks. If that does happen, I’ll be sure to start drinking plenty of water for hydration before the check.